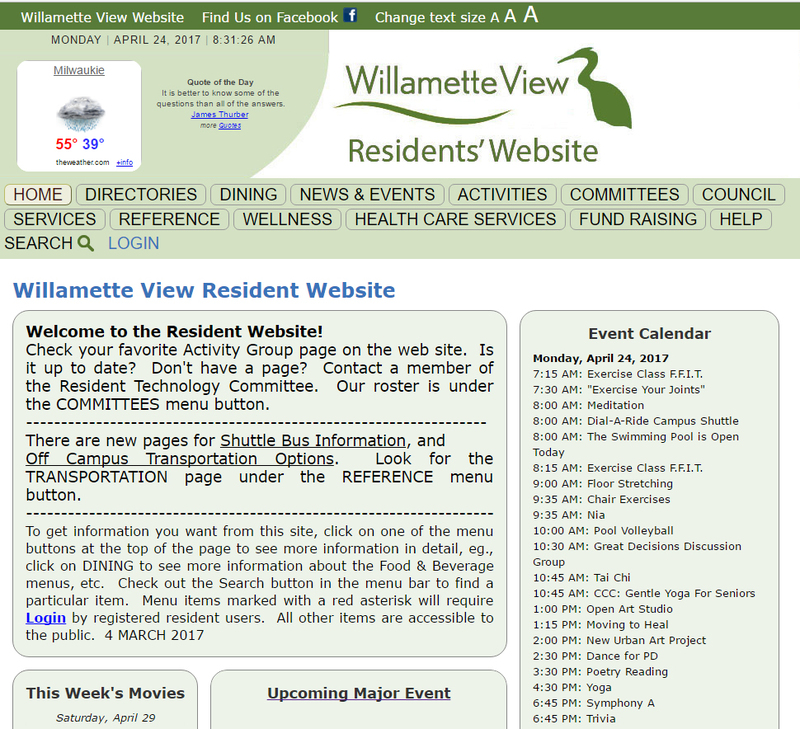 The Willamette View Residents' website is a semi-custom site based on the GreenLAMP Core. It has grown over the years to accommodate the diverse and unique needs of the residents at this Portland, Oregon retirement community. 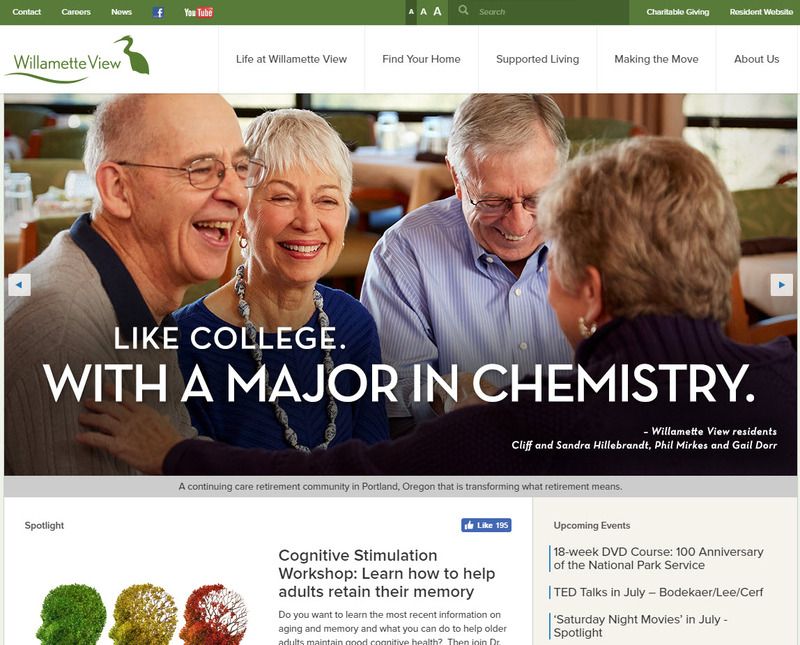 Greenlight created a system that allows the residents to manage the page structure and content of their site. It also contains special apps that facilitate the various services and activities the residents enjoy, such as the movie schedule and event calendar. The site features a login system that provides security for private information and also has visitor metrics that help the residents evaluate the site‘s usage trends. 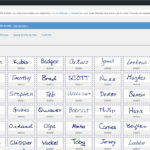 The vLetter website is a WordPress site that was extended by Greenlight Development to support their Handwriting Font of the Day (HFOTD) project. vLetter had hundreds of font files that they wanted to give away as a promotion. 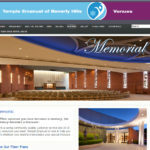 They needed an admin extension for WordPress that enabled staff to create and edit fonts. These fonts consisted of the font files themselves, an image depicting an example of the font, a text description of the font and several font attributes (slant, gender, etc). 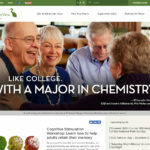 After they were created, the fonts were featured in an automatic daily WordPress post, which, in turn triggered a MailChimp message to subscribers and postings to various social networks. Also, if it hadn't already been created, a new Cart66 product was created. The Add to Cart button in the post was linked to the Cart66 product. Once posted, the fonts also became available on the HFOTD Archive page. 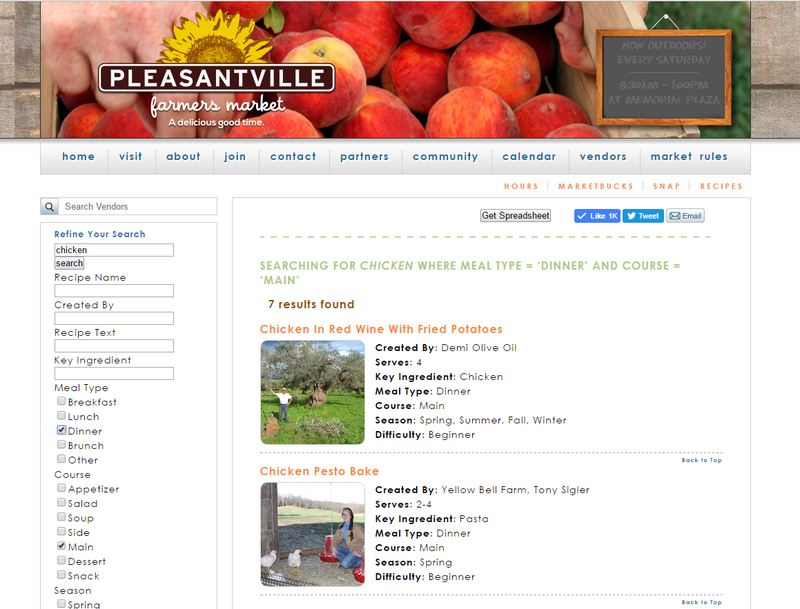 This page displayed all published fonts using pagination, and enabled the site visitor to whittle down the choices using a search form that is automatically generated based on the font attributes definition in the code. Greenlight's approach made changes to the font structure quick and easy because the admin pages where the fonts are defined, the font structure in the database and the search form in the archive page are automatically updated. 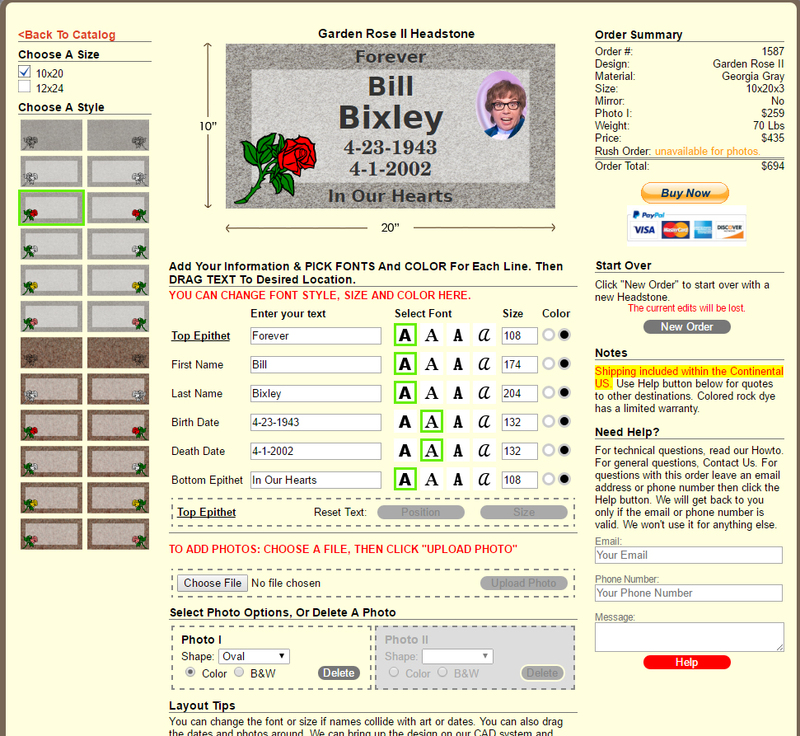 The Pioneer Rock and Monument Website features a Headstone Design Tool that gives their customers the ability to customize grave markers for lost loved ones. 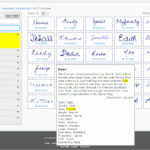 This innovative app allows the user to select headstones from a variety of offerings, input and position text, as well as specify font-size and style. Photos can be uploaded and positioned with a variety of options. The back-end of the website is based on the GreenLAMP Core. It gives the owners complete control over their offerings. 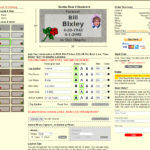 It lets them set pricing, create and manage designs and materials. And it has an order-management tool that lets the owners search and interact with the orders as they come in. The visitors make their purchase via a Buy Now button that uses PayPal's Instant Payment Notification mechanism to update the order database. 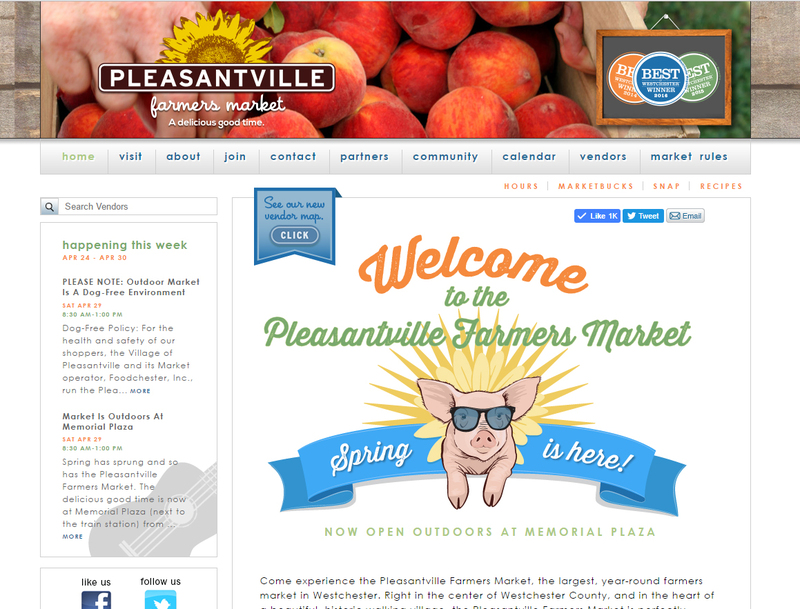 The Pleasantville Farmers Market website is a semi-custom site based on the GreenLAMP Core. Page content control includes some special features such as a cool Animated Chalkboard where the admin user can specify images and text. 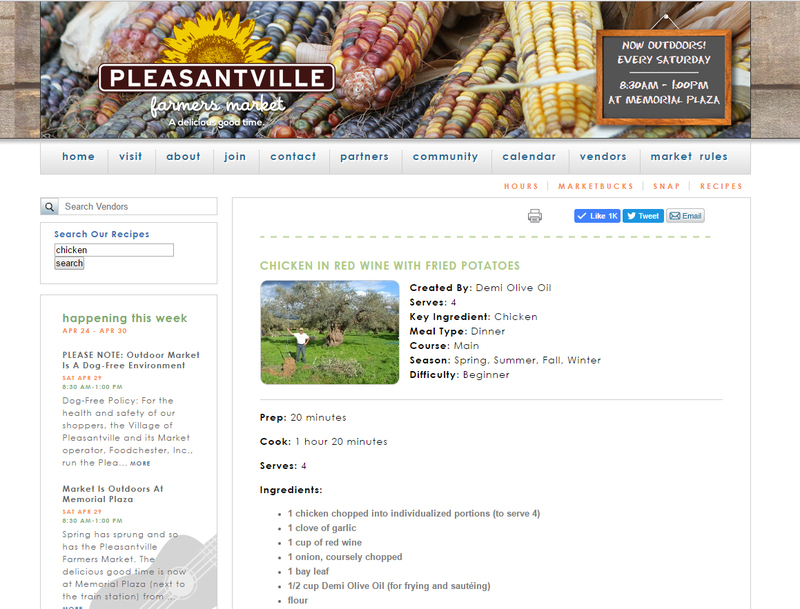 Also featured are the Recipes where the admin user can create recipes using a variety of criteria that were specified by the Market staff. 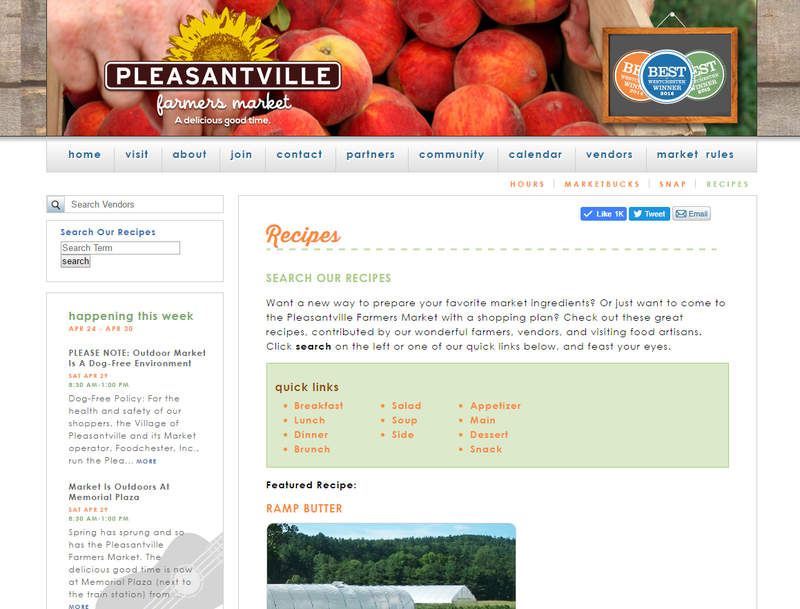 On the Recipes Page, the visitor can search for recipes using the same criteria. 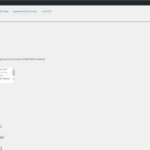 Greenlight Development also created code to adapt a third-party vendor map application into the page structure. 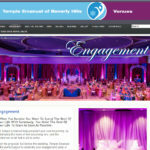 This allowed the site's visual designer to achieve exactly the look and feel he sought for that page. 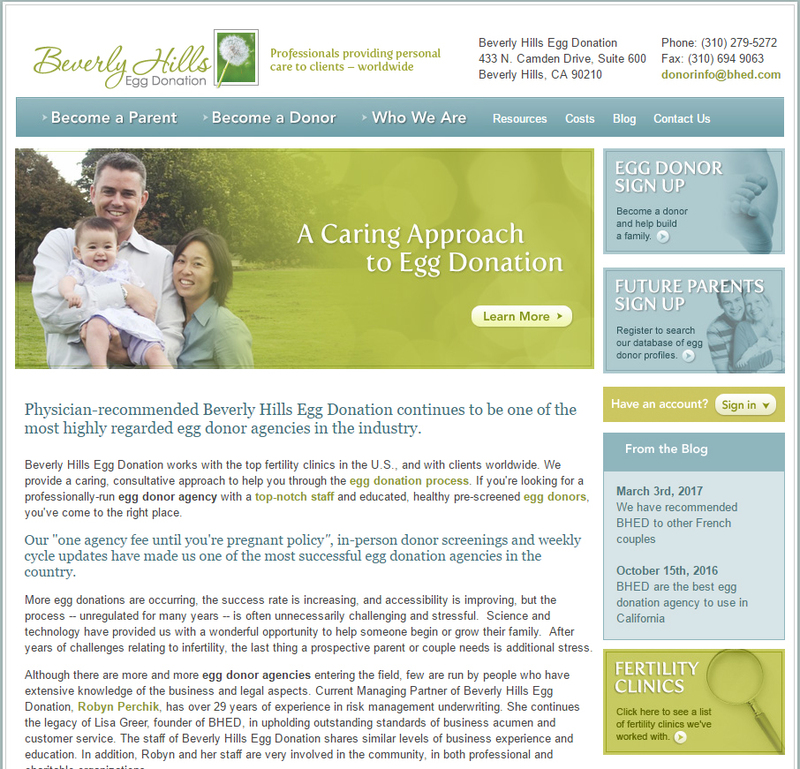 Beverly Hills Egg Donation is a website that Greenlight Development took over from a developer who had moved on. It features an extensive back-end that manages donors, recipients, doctors and clinics. 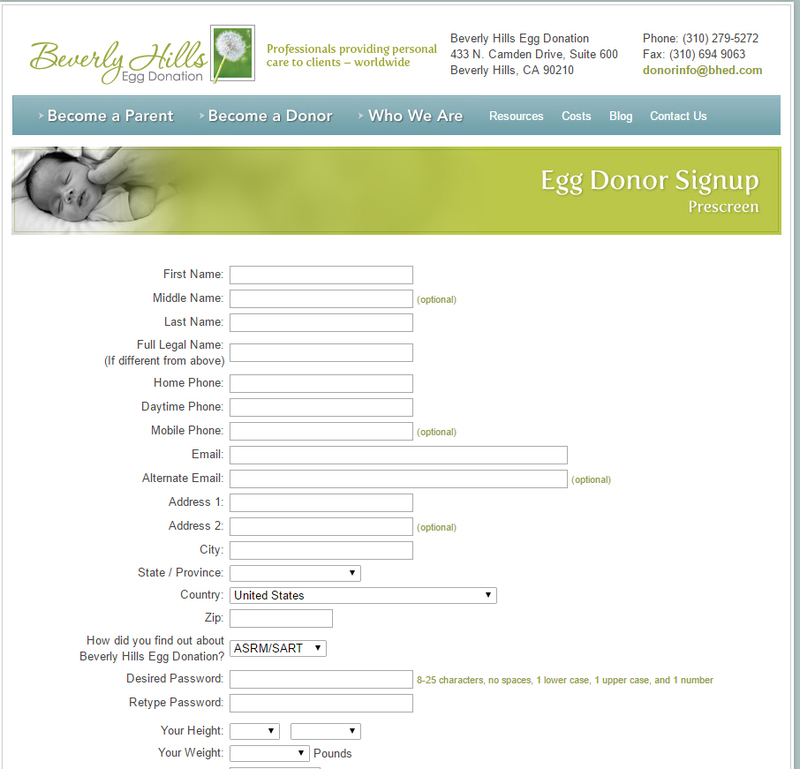 It also has a public interface as well as a special interface for prospective donors and recipients and another for donors and recipients that have been accepted into the system. 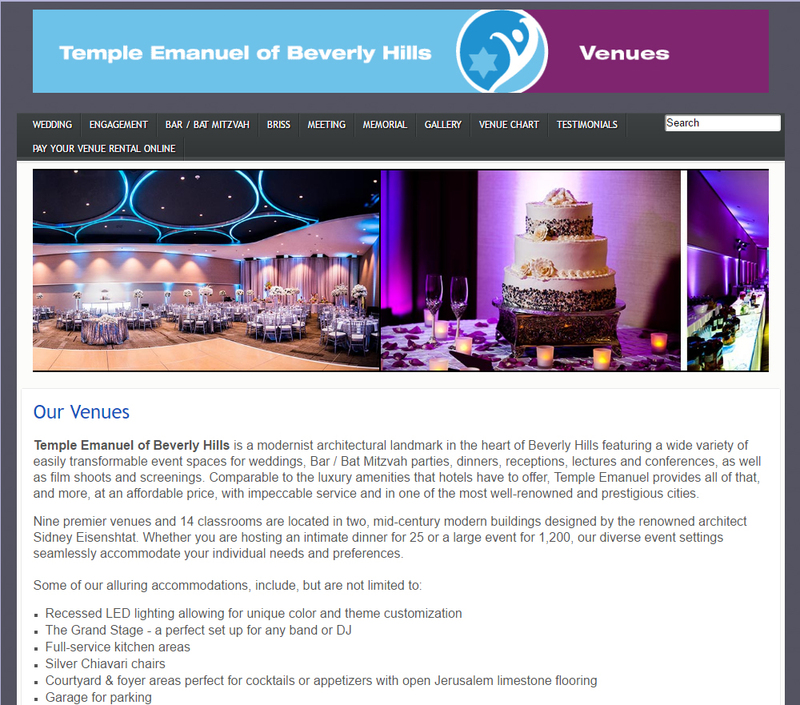 The original site was 100% custom PHP code with extremely complex SQL operations. Greenlight Development was quickly up to speed when brought onto this project and has been able to add functionality and fix existing bugs in a timely and efficient way ever since. 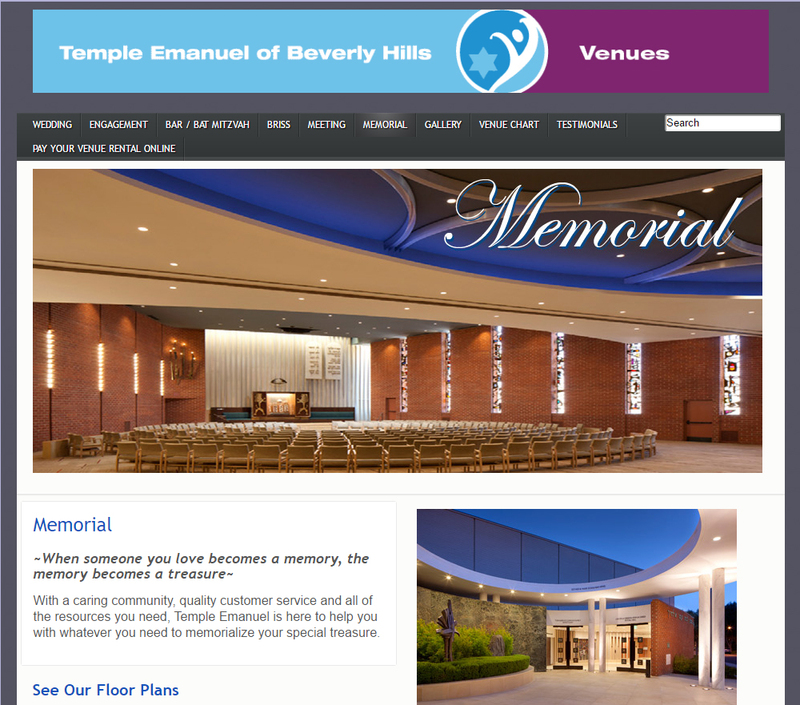 The Temple Emanuel website is a Joomla site that Greenlight helped with by making changes to the content. 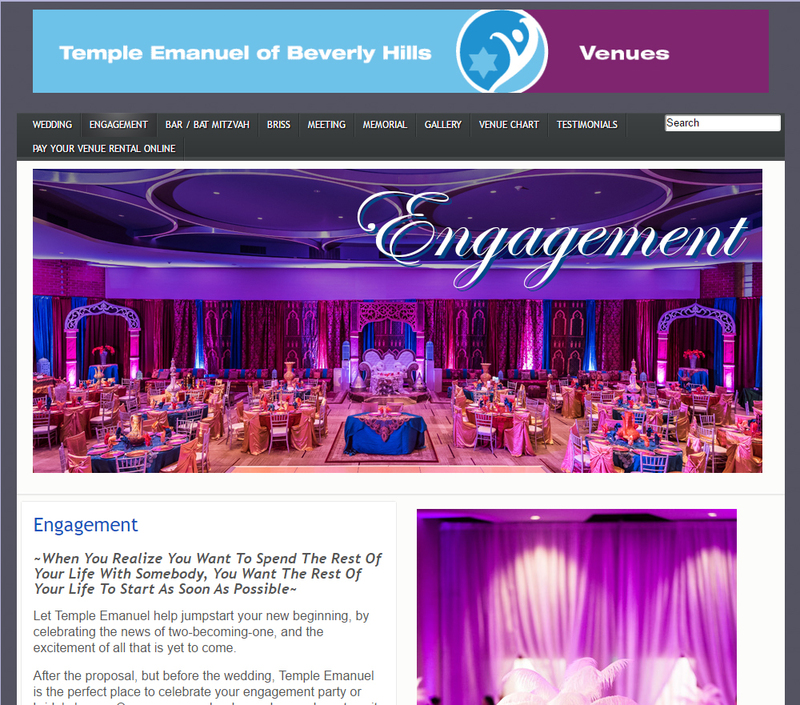 This included adding or changing photos, creating new page layouts and altering the text. Despite having no experience with Joomla, Greenlight stepped in and delivered results when they were needed.